A hub that enables individuals to lead healthier lives through the act of sourcing, cooking and eating responsibly within an inspiring and empowered community. For the past decades, industrial food systems have developed faster and more robust strategies for delivering calories to end-consumers, trading off nourishment for convenience, extending shelf life but diminishing nutritional content. We live in a hyper-diversified food system where homogeneity of sourcing of nutrition, exacerbated industrial food processing, frozen food and fast food as a quick and convenient option, take an enormous toll on the health of individuals. Modes of interaction within societal organizations are in an ever increasing transformation, overall pressures have forced individuals to be immersed in daily activities, pushing out cooking from their agenda and preferring to eat alone. Time pressures and demographics have led to sacrificing the social dimension of eating with devastating consequences in nutritional and environmental aspects. Developed idea and implementations along with teammate Chien-Min Lu, Santiago Mota, and Julie Loiland. Took charge of branding, user research, and was involved with space design. We believe that cooking and sharing a meal with others can require little effort given if we provide the right space and environment for people to do so. 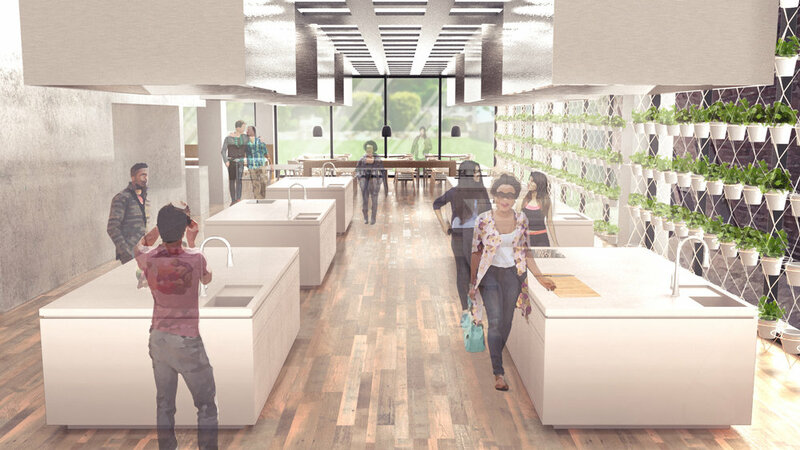 At Tastable, we envision a place that enables individuals to lead happier and healthier lives through the act of sourcing, cooking and eating responsibly within an inspiring and empowered community. 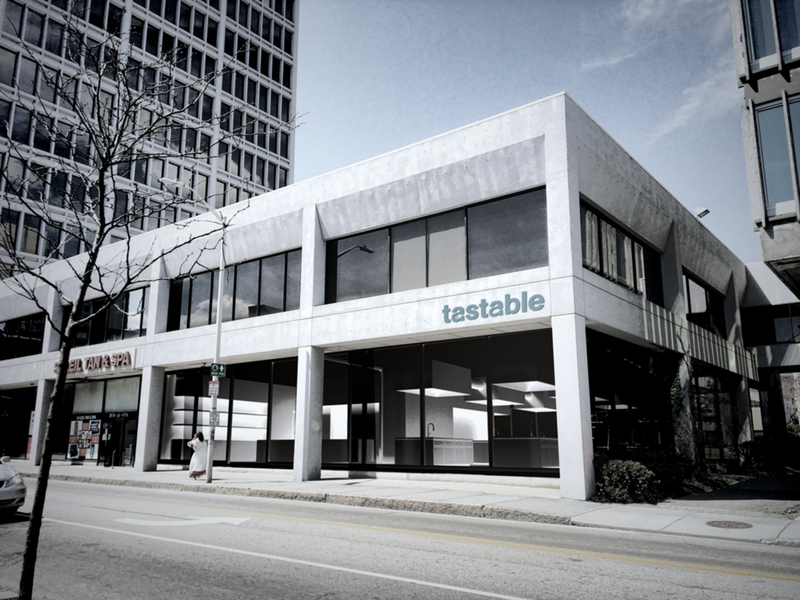 Tastable is a business model with physical space that is located in the urban setting. It is targeted towards millennials who value meaningful experience over physical objects. We aim to bring back the fun in cooking and in doing so, individuals can have a more wholesome life. At Tastable, we take care of sourcing and cleaning, so that customers are able to relax and spend their time on meeting new people and socializing, both revolving around learning new cooking skills and recipes that can be recreated at home. Front entrance of Tastable - with large window fronts, Tastable invites those who pass by to take a peak and see the buzzing activities inside. Those who step inside are greeted by the tantalizing smell of the food being cooked. A friendly receptionist greets you upon entering Tastable. 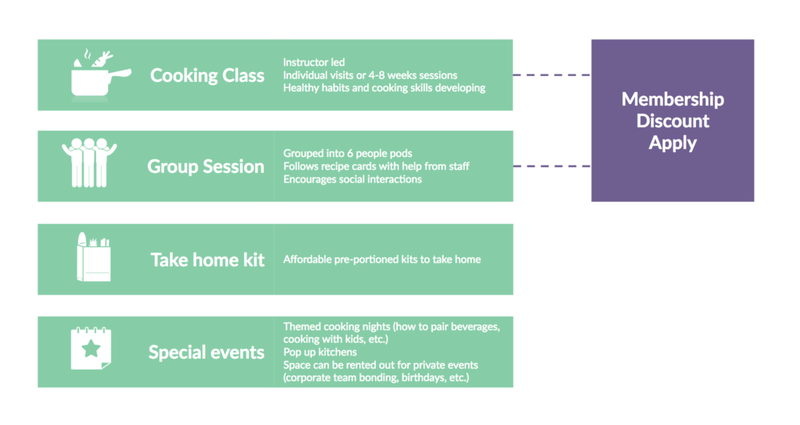 Here, you can sign-up for a class, sign-in for your session, or pick up a pre-portioned kit to take home and cook. Inside the cooking area of Tastable with kitchen modules and herb wall to the right. Dining area where people can enjoy their freshly made meals with others. 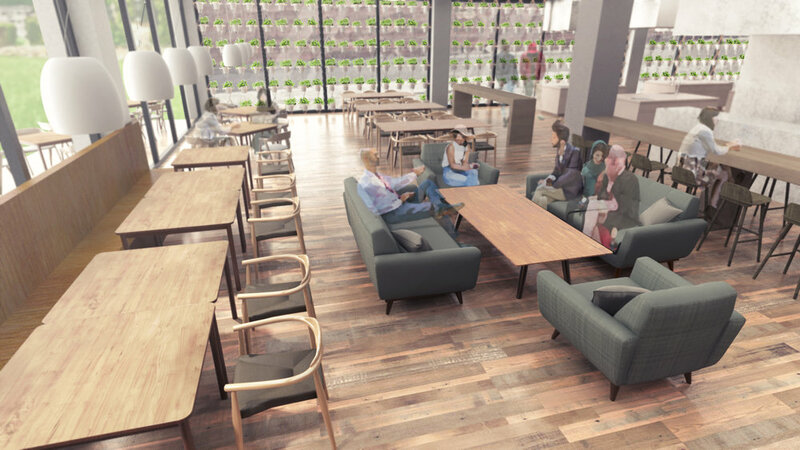 An open and fluid floor plan enables people to feel comfortable moving around talking to different people without feeling restricted.